I have been wanting to read this for a long long time. Now I can. When I'm done, it's available. promised to gawdess, a fellow bookcrosser, when I'm through. The author and his Samoan attorney set out for Las Vegas in a rented red convertible, filled with a ton of drugs. Why? They're out there in search of the American dream. 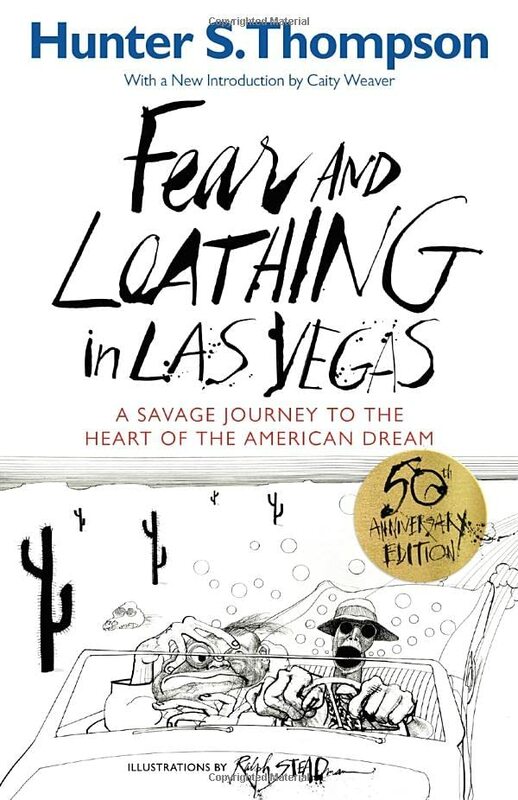 While this is a memoir of sorts, the author calls himself Raoul Duke -- and the story is about his journey & all the creepy, sick and disgusting things that happen along the way. Actually, my favorite part was at a hotel in Vegas where his lawyer is puking into his shoes, stark naked, back to the door, when the maid comes in. Her response: "I'm the maid. I didn't see anything!" They pretend to be cops. The book is really disturbing, but I swear, I had to keep reading to see what these two were going to do next in their drug-induced kookiness. Do not read this book if you are easily offended; do not read it if you get grossed out easily, and if you do read it, if you just keep telling yourself there doesn't really have to be any relevance at all, then you'll like it fine. A very funny read....I enjoyed it although it was quite odd!